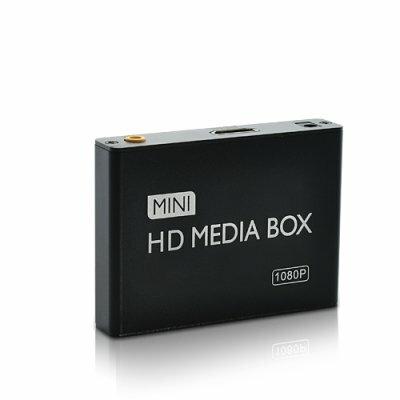 Successfully Added Mini High-Definition Media Player for TV (HDMI, USB, SD, AV) to your Shopping Cart. Talking about achievement, all of today's most demanding media files (whether video, audio, image or subtitle) can be read! Simply put, with the awesome media player you can spend less time worrying about compatibility issues and more time enjoying your multimedia content. It also delivers great performance by displaying smooth 1080P movies in high definition that thus become vivid, colorful and full of life. You can even playback your Blu-ray HD files at full resolution! Prepare to feel action, suspense and anxiety as you never did before. Please copy and paste this link into your URL address bar, [http://www.chinavasion.com/product_info.php/pName/deluxe-hdmi-cable-6ft-long-182cm/]. This is a high-bandwidth cable that has been tested to perform at industry standards, and is available at a wholesale price. It seems that it is a very good player, it plays almost everything from videos to audio and photos.